Essential Project Management provides you with unique insight into and understanding of project management. Covering the entire project life cycle, this course is built around best practices currently used in successful projects and in modern project-intensive companies. You'll learn project management skills through a unique training approach linking learning objectives, theory, practice, examples, case studies and quizzes. Your skills can immediately be applied to your job. Essential Project Management provides you with the concepts, processes, methods, techniques and tools you will need to manage each stage of the project life cycle. It will also teach you how to work within organisational and project constraints, define objectives and manage stakeholder expectations. You will discover how to get the most from your project management team, define roles and responsibilities, and plan, monitor and control the project on the basis of current practices in successful projects. In this course, you will learn how to complete tasks on time and within budget to meet or exceed stakeholder expectations. If you are new to projects and project management, the course will help you to quickly become a valuable project team member. If you are an experienced project manager or project team member, the course provides a valuable and fresh overview of project management and will provide you with new insights into this fast-evolving profession. Our best feedback actually comes from people with project management experience. 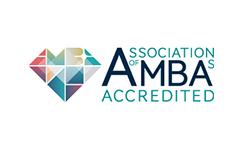 Stakeholder and communication management – managing expectations. This course is aimed at anyone involved in projects and project management – beginners and experts. The course is 100% online. When you enrol, you get access to a unique learning platform with an intuitive user-interface. The amount of time required to complete the course will vary depending on your existing project knowledge and experience. Allow at least 15-20 hours to complete the course. 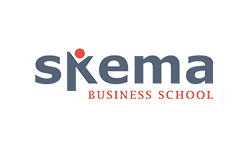 The course can form part of the Diploma in Project Management and the Advanced Certificate in Project Management, which in turn can become part of the Executive MBA in Project Management delivered by SKEMA Business School and Metier. If you take this course as part of a programme including exams and university credits, you will spend more time as you need to review recommended literature and prepare for the exam. 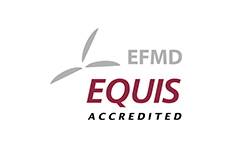 The course is worth 5 ECTS as part of an academic degree. The course is aligned with PMBOK® Guide from PMI®, PRINCE2™ from Axelos and ISO 21500 Guidance on project management. Students can collect 20 PDUs.